Wednesday, January 20, 2010 - Pikko.info, " Welcome to visit on our info site." Satu kilo jamur ini dapat mencapai harga 60 juta rupiah. Jamur White Truffle ini adalah jamur paling mahal di dunia. Rasanya yang mantap dan 'earthy' merupakan ciri khusus yang tidak dapat ditandingi oleh jamur lain. Jamur ini digunakan dalam ukuran yang sangat kecil (hanya sedikit parutan saja) dalam setiap masakan. Dan masakan yang menghidangkan jamur ini tentunya bukan masakan biasa. Jamur ini hanya bisa ditemui di Piedmont, Italia utara, dan hanya dipanen pada saat musim gugur. Panen-nya pun harus dibantu oleh anjing khusus yang mendapat latihan khusus juga! One pound of this fungus can reach the price of 60 million rupiah. 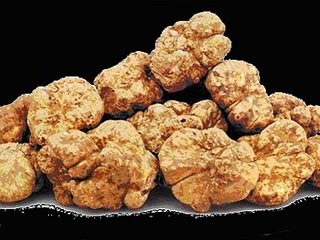 White truffle mushroom is the most expensive mushroom in the world. It was a steady and 'earthy' is a special feature that can not be matched by other fungi. 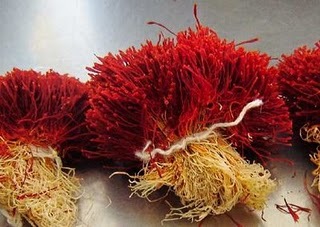 This fungus is used in a very small size (only a little grated course) in each dish. And mushrooms served a dish that is certainly not a common dish. This fungus can only be found in Piedmont, northern Italy, and is only harvested in the autumn. His harvest had to be assisted by a special dog who received special training, too! Surely you know, especially for fans of sushi, how to taste tobiko, but we're not talking about fish eggs, we are talking about caviar, which of course, not too caviar usual, we're talking about caviar Beluga, known as caviar Almas in Iran. 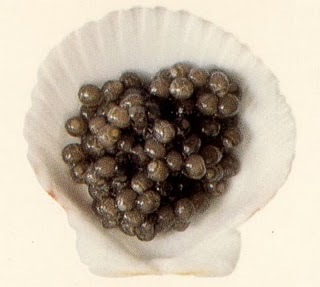 Caviar is obtained from fish Beluga Sturgeon, who had became extinct in the Caspian Sea and Black Sea. How to enjoy it too unique, to say that the spoon best caviar is with a spoon coated with pearls. People said , the older the wine, it will feel more comfortable. Imagine the 100-year-old Champagne, with a bottle of 4 kilograms of pure platinum, 24 carat gold and diamond-studded 6500 pieces. 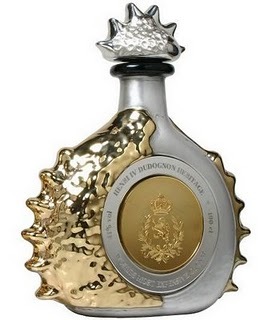 The name of this drink: Henri IV Dudognon Heritage. These beverages are stored for at least 1 century in gentog wood. Until now, no one is desperate to buy the bottle, let alone taste it. FleurBurger, which priced 5 Million Rupiah per portion was served at Fleur de Lys, Mandalay Bay Hotel and Casino, in Las Vegas. Burger meat is made entirely of Kobe beef, and served with foie gras and truffle sauce with truffle brioche bread. 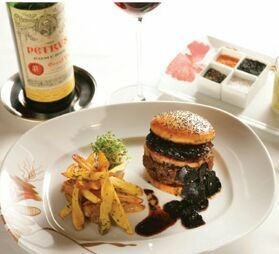 This luxurious super burger served with a bottle of Chateau Petrus 1990. In addition, you will receive a special certificate that is sent to your home as proof that you do not spend 5 million had been at the gambling table, but because you ate a burger.